Our company holds expertise in providing unmatched range of Turnkey Projects for Chemicals to our clients. We also have a team of quality experts who keep close eye on the each project supplied by our organization. Furthermore, we meet the bulk demand of our clients within the committed time frame. Chlorination reactor and drive unit. 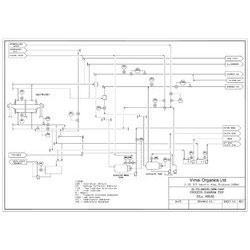 Vacuum pumps, vapor pipes, barometric condenser, pipe lines etc. Material handling system e.g. bucket elevators, screen conveyors, vibrating screen, hammer mills etc. Tanks and hoppers with packing system. 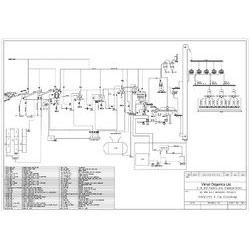 Steam boiler (Non-IBR), cooling towers, liquid chlorine handling and use in process. 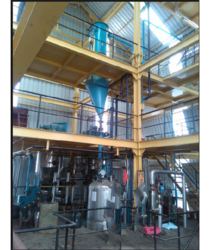 We offer a superior range of Non Ferric AlumPlant to our clients. Sulphuric Acid Pump complete with coupling, baseplate etc. Reactor complete with lead lining & Acid resistant brick lining, FRP Hood, 8. Fine quality paper printing including printing of currency notes. Used in Drug & Detergent industry. We provide most modern and scientific plant to manufacture Activated Bleaching Earth that is used in refineries of edible oils/ mineral oils/ animal fats. For technical specifications and chemistry reaction, refer to Pdf. We offer an exclusive range of Sulphuric Acid & Oleum Plant to our clients, which are extensively used in various industries. Please refer PDF attached, for more details. Our esteemed clients can avail from us a wide range of Caustic Soda, Chlorine, and Hydrochloric which are made with high quality of raw material ensuring the high effectiveness, accurate pH value and purity. Our range finds applications in wide areas like disinfection of water, production of bleach, renewal of ion exchangers, pH control and neutralization, leather processing and household cleaning. Furthermore, we ensure that our range is free from any defects. We supply these products at affordable prices. 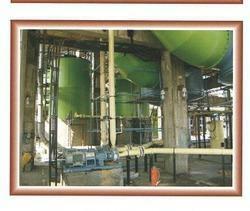 We also offer unmatched range of Refined Iodized Free Flow Salt Plant and Machinery to our clients. 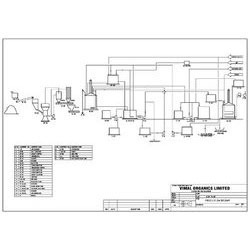 Our range includes Mechanical Refinery and Evaporate Systems. Our organization provides a wide range of Ferric AlumPlant to our clients. 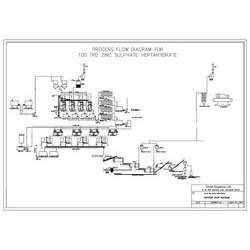 Looking for Turnkey Projects for Chemicals ?